Brett Wiese, 21, was killed in 2013. 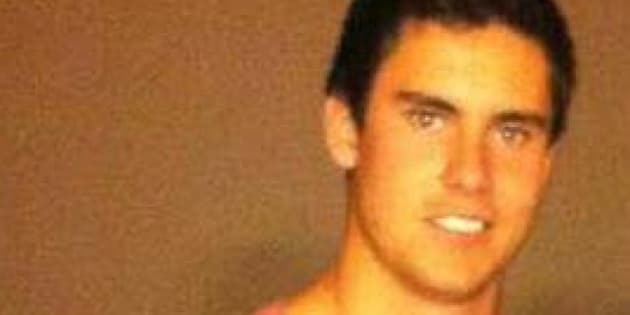 A man has been found guilty of killing a 20-year-old universty student at a Calgary house party over two years ago. Brett Wiese died after being stabbed in the back outside a Brentwood-area home on Jan. 12, 2013. Police said violence erupted when several uninvited partygoers who had been ejected from the house later returned, armed with knives. On Saturday, Mitchell Harkes was convicted of seven charges, including second-degree murder, attempted murder, and aggravated assault, according to CBC News. The 22 year old broke down in tears when the verdict was read, reported CTV News. The murder conviction comes with an automatic life sentence, and no chance of parole for at least a decade. Jazlyn Radke was also found guilty of second-degree murder in Wiese's death earlier this year, reported the Canadian Press. The then-17 year old was sentenced as an adult and jailed for life without parole for seven years. "There isn’t a criminal sentence on earth that equals the pain and despair that we live every single day," said Wiese's mother, Brenda, when the Radke was sentenced. "“Nothing will bring him back."